Beat the Bell Speed Cups is a fun & simple color-matching cup stacking game! Blue, red, green, yellow, black: who will correctly rearrange them first? 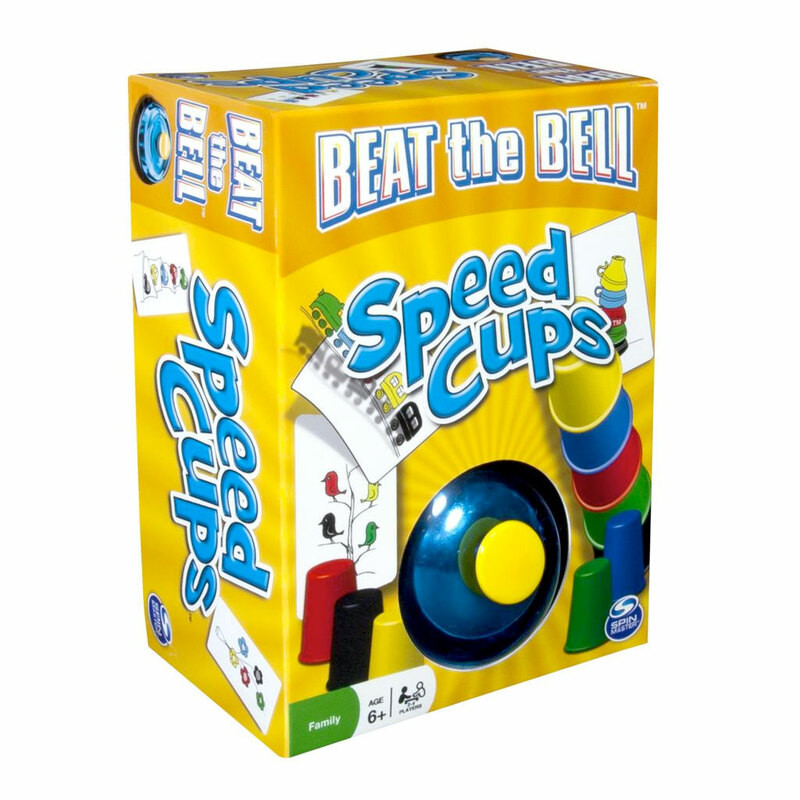 Beat the Bell Speed Cups is the fun new game that combines the adrenaline rush of speed stacking cups with color pattern matching. Quickly rearrange your 5 differently colored cups to match how the colors are positioned on each card’s picture. Which color bird sits on top of the tree and which on the bottom? In which order are the jackets arranged on the wall? If you’ve arranged your 5 cups in the right order and you’re the first to ring the bell, then you win the card! After 24 rounds, the player with the most cards is the Beat the Bell Speed Cups champ! Each Beat the Bell Speed Cups card has a picture of 5 colored items. Some are horizontal, like a train. Some are vertical, like a stack of teacups. Line up or stack your 5 colored cups to correctly match the order in the picture. Ring the bell first, and you earn the card. Earn the most: you win! 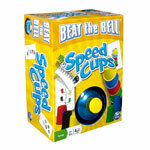 Beat the Bell Speed Cups is for 2-4 players aged 6+.